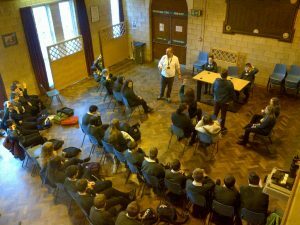 Now in our seventh year teenagers have been given an incredible insight into the youth justice system through theatre and education through our headline project ‘Justice in a Day’, a partnership between Theatr Clwyd and the Police and Community Trust (PACT). This year the scheme, sponsored by ScottishPower, involved about 50 north Wales schools highlighting […] Read More. Road Safety in South Gwynedd given a PACT boost. 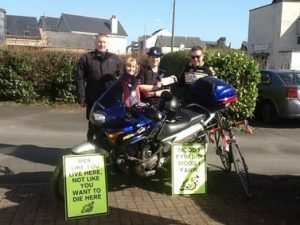 Police Officers from Gwynedd South Safer Neighbourhood Team and local Councillors have secured PACT (Police and Community Trust) funding to assist a local road safety campaign aimed at reducing the number of collisions involving motorcyclists. Local PCSO Lona Davenport and Cllr. Dilwyn Morgan have been successful in securing funds to purchase and display road safety […] Read More. 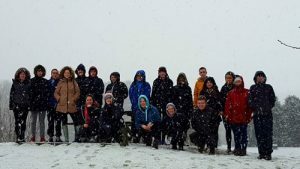 The Eastern Division Police Cadets had the chance last weekend to visit Kingswood Colomendy, an outdoor education centre near Mold, for a team building weekend thanks to the help of a local officer. PCSO Poppy Hadfield-Jones applied for a Police And Community Trust (PACT) grant for the cadet division and has made a huge impact […] Read More. 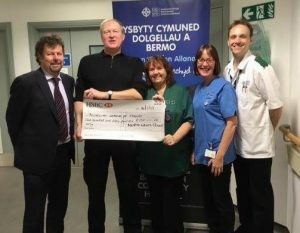 Residents at Llys Cadfan residential Home in Tywyn Gwynedd received a boost yesterday, Monday 27th February, after a local Police and Community Support Officer (PCSO) secured funding to assist pay for the running of a mini bus so they can enjoy days out this spring and summer. PCSO Meirion Jones of the North Wales Police […] Read More.